One of our bucket list items for our time in Arizona was a visit to Organ Pipe Cactus National Monument, located deep in the heart of the Sonoran Desert along the border with Mexico. We weren’t sure whether the government shutdown would impair our experience, but we decided to stick with our planned schedule and check out the park anyway. We’re very glad we did, especially because operations at the park were somewhat normal. We were treated to sunny days with temperatures climbing well above 70 degrees, providing a perfect illustration of why Arizona is such a popular winter destination. For the first time in months we were warm enough to wear short-sleeved T-shirts on a regular basis, and we could explore miles of desert trails steps from our campsite. With these ideal conditions, we basked in the experience of the desert. 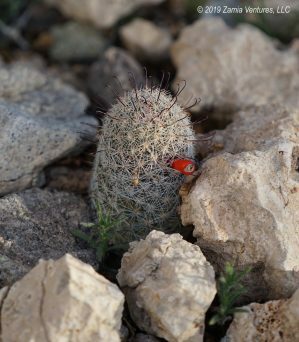 The large cacti are the icons of the desert, but there are many of species of plants that have adapted to the desert and contribute to this distinctive landscape. 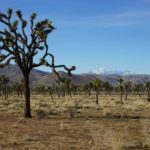 The relatively large ocotillos, palo verde trees, tree-shaped chollas, mesquites, and elephant trees all use a combination of different strategies – waxy skins, small leaves, growing leaves only when water is sufficient, and more – to carve out a successful existence in the desert. And interspersed among these larger plants is a wide variety of understory plants, some of them quite leafy, which combine to make a dense ecosystem. Far from being an environment of barren, exposed rock, the Sonoran Desert in this area was dizzyingly lush and diverse. I went a little crazy trying to photograph everything from the towering cacti to the smaller agave and wildflowers. In addition to enjoying the distinctive appearance of the desert, we liked that this park offered a wide variety of different activities. The 20-mile scenic drive on the unpaved Ajo Mountain Drive was beautiful and gave us an excuse to put the truck in 4-wheel drive. From Ajo Mountain Drive we hiked up into Arch Canyon and also did the Estes Canyon – Bull Pasture Loop, which took us up into the mountains on the eastern side of the park for sweeping views and a wetter, greener ecosystem. 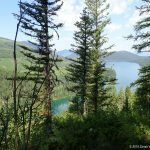 From the campground, we tackled numerous hikes off the Victoria Mine trailhead. 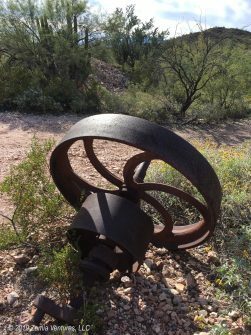 We encountered several abandoned mines along the way, which were generally well-preserved in the dry desert climate. The park is also rich in wildlife, as we discovered without needing to leave our campsite. The desert animals seem to be most active in the early morning and late afternoon, and the campground within the national monument was a perfect place to experience all this. 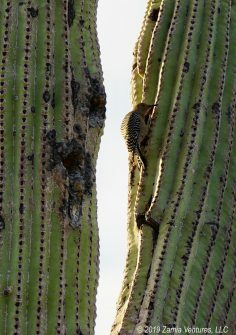 A gila woodpecker family living in a saguaro next to our campsite did daily battle with an aggressive raven. We were serenaded in the evenings by a pack of howling coyotes. The ocotillos at our campsite attracted regular visits from hummingbirds, which announced their presence with a sound like a tiny lawnmower. They had a maddening habit of departing just as I was pulling out my camera, but thanks to our relatively slow pace of travel I was able to devote some time to lying in wait for these visitors. On warm afternoons after returning to camp for the day, sitting outside with my camera at the ready, I was able to spring into action at the right time and capture photos of a few visits from these tiny wonders. Of course, despite capture several good photos I’m still not completely certain of the identification of the species. From seeing a few brief flashes of red iridescence I am guessing these are Anna’s hummingbirds, but they could also be similar-looking species: Black-Chinned hummingbird or Costa’s hummingbird. We really loved that the campground is well positioned to provide maximum views of breathtaking sunrises and sunsets, and we experienced both. The campground is centrally located within the park, so we had an excellent base to explore the park. The sites were nicely spaced out, with plenty of vegetation in between. We generated ample solar power, and the solar-heated showers were a nice bonus, though not as warm as I would have expected. I mean, the bath houses had large, ominous signs warning of the danger of getting scalded by solar-heated water, but we never got anything more than lukewarm at best. In any event, this out-of-the-way park never seems to fill up, and during our visit the campground was no more than 20% full. The relative solitude and scenery made for a marvelous desert camping experience. Being just a few miles from the southern border gave us a front row seat to some of the measures being taken to secure the border. We passed through several border patrol checkpoints on our way into the park, and border patrol personnel were quite visible during our visit, including driving around the campground. At times the park had the sound of a combat zone, with border patrol helicopters circling overhead and military jets from the nearby Barry Goldwater Air Force Range making occasional appearances. Fortunately, the loud aircraft passed over quickly so we could get back to enjoying the quiet of the desert. The park is filled with signs warning that hikers may encounter migrants on the trails, but we saw neither migrants nor traces of earlier border crossers (e.g., discarded water bottles). Of course, migrants typically avoid populated areas so it wasn’t surprising that we saw no trace of border-crossing activity in the park itself. In contrast, on our drive east from the park through the Tohono O’odham Reservation the roadsides were absolutely littered with discarded water bottles and jugs, making me think that area is a more common crossing spot. The border patrol agents that we encountered were all working without pay, since the inability of our elected leaders to manage basic operations of the government continued unabated during our visit. And unlike some other parks we have visited during the shutdown, there was some evidence of park staff at work here. We saw a few guys in an NPS truck come around several times to empty trash. We chatted with them for a while and learned that they had been authorized to do maintenance work for up to 20 hours per week, to be paid following the end of the government shutdown. For people working without current paychecks, they were surprisingly chipper and friendly. Thanks to this skeleton crew of staff and the relatively small number of people camping in the park, the bathrooms were clean and trash bins were never overflowing. Those mountains are in Mexico! However, the park visitor center was closed, along with the shuttles that carry visitors from the campground/visitor center to several of the nearby trailheads. Reservations in the campground were not being honored, simply because there was no one staffing the entrance booth. For some reason the site we originally reserved was blocked off with poles when we arrived. So we pulled into the adjacent site and enjoyed virtually the same orientation and views that we had sought from our reserved site. We only witnessed one minor dustup between visitors when a new arrival was miffed to discover that her reserved spot was already occupied, but with the park virtually empty it was easy for people to find alternate spots. Despite camping in a mostly-empty campground, we were not starved for human interaction. We’re now getting a better understanding of why winter is considered the social season for full-time RVers. After meeting lots of new people in Quartzsite, we added to our tally of new friends by meeting up with Art and Ashley (Instagramming under @ateamlife and @cultivatedandwild), who were camped north of the park and stopped by the campground to greet us when they came into the park to hike. During our stay we also made plans to meet up with several online friends during our upcoming stay in Tucson. It’s been great to have in-person interactions with people we previously only knew online, but we’ll see how long our introverted selves last in this flurry of social activities. Up next, we head into Tucson for an entire month, where we plan to luxuriate in all the amenities of a reasonably-sized university town. Isn’t Organ Pipe Cactus NM wonderful? We loved the campground, the trails, everything about it (except for those lukewarm showers). Like you, we were surprised by the lush green beauty of the desert. So cool that you were able to stay in the park even with the government shutdown. 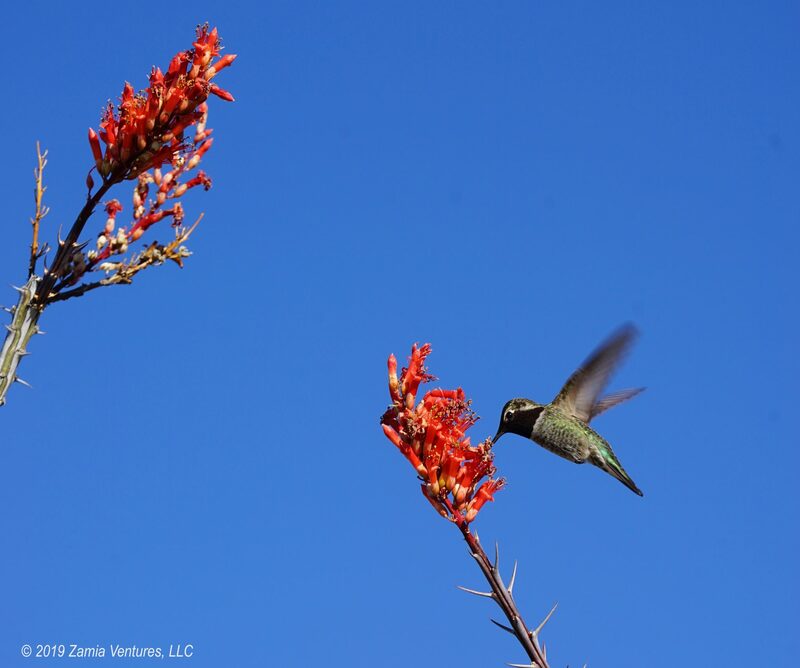 Your photos of the park, the cacti, and the hummingbirds are lovely. Trying to capture the antics of hummingbirds in a photo is a great way to slow down. 🙂 By the way, I find it challenging to identify female hummingbirds unless they have a distinguishing feature like an orange bill (Broad-billed, for example). My bird identification skills need serious help. It’s nice of you to think that it’s only the females that give me trouble. 🙂 But despite some frustrating times spent with the bird book, we absolutely loved Organ Pipe Cactus NM and we’re so glad we didn’t skip it!